Jim Averdieck and big fish go back a long way. 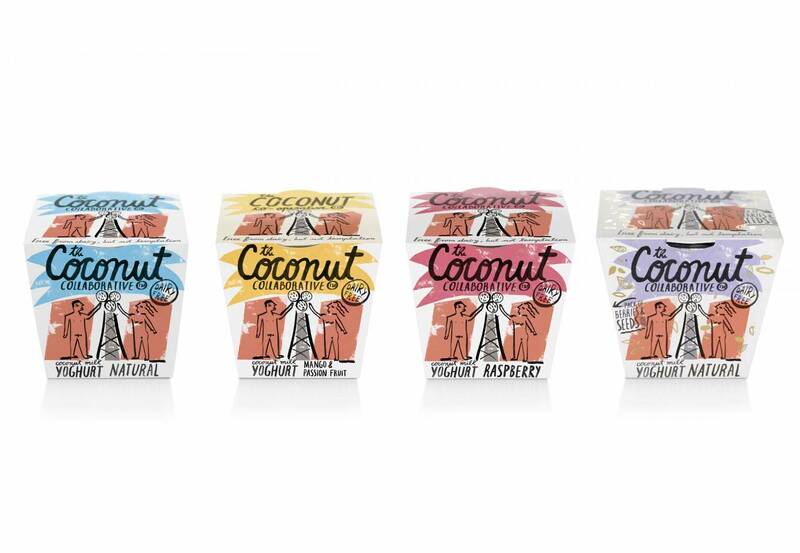 We created the Gü brand together as a startup, which he went on to sell for £33 million pounds six years after it started. So, when he asked us to join him as business partners in his new venture we were delighted. 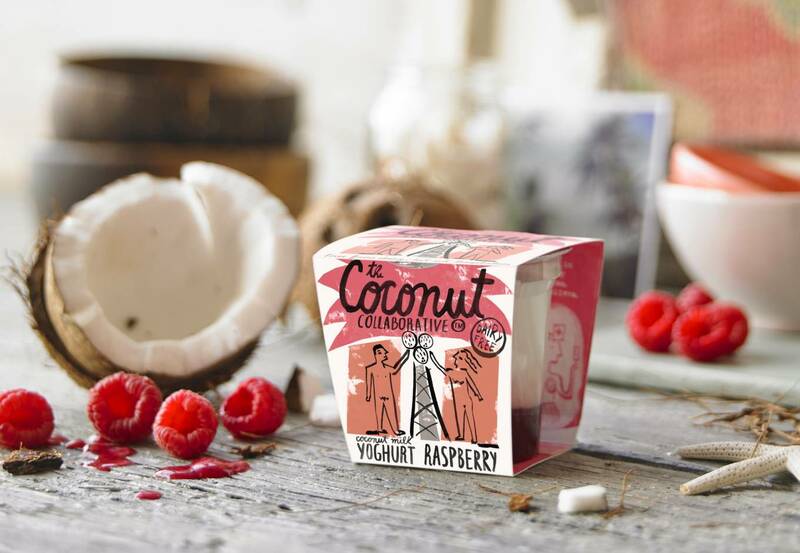 His vision was to create a range of products made from coconut milk that were healthy but indulgent. 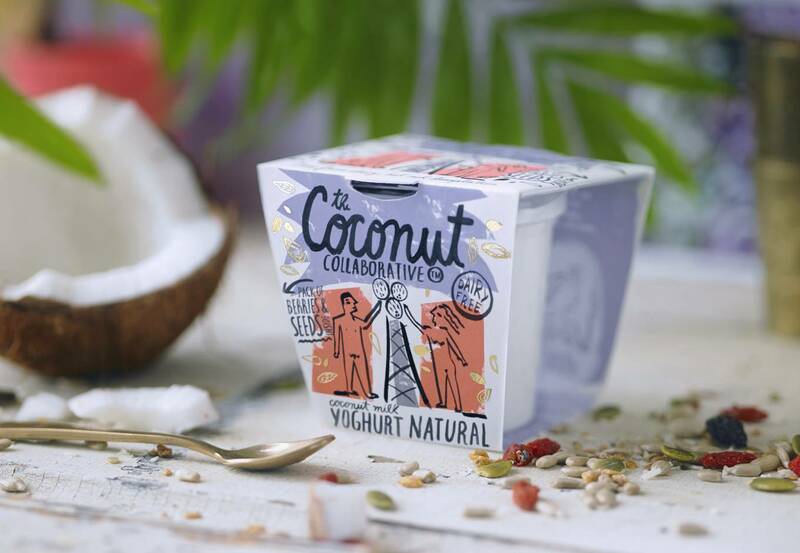 After some extensive research we realised that the simple coconut had huge potential. It is an extraordinarily diverse ingredient that can be used across a vast array of categories such as food, beauty, construction, filtration and even clothing. 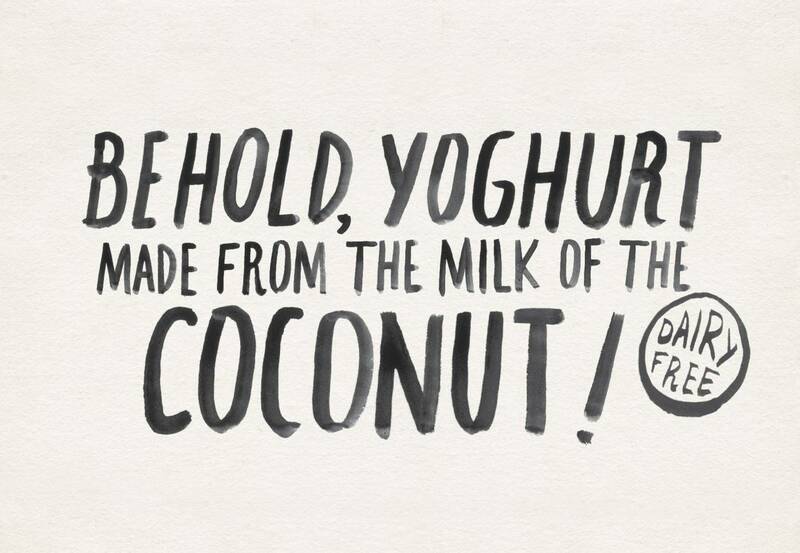 We also found that the coconut farming industry had been devastated by natural disasters like the Philippines tsunami. 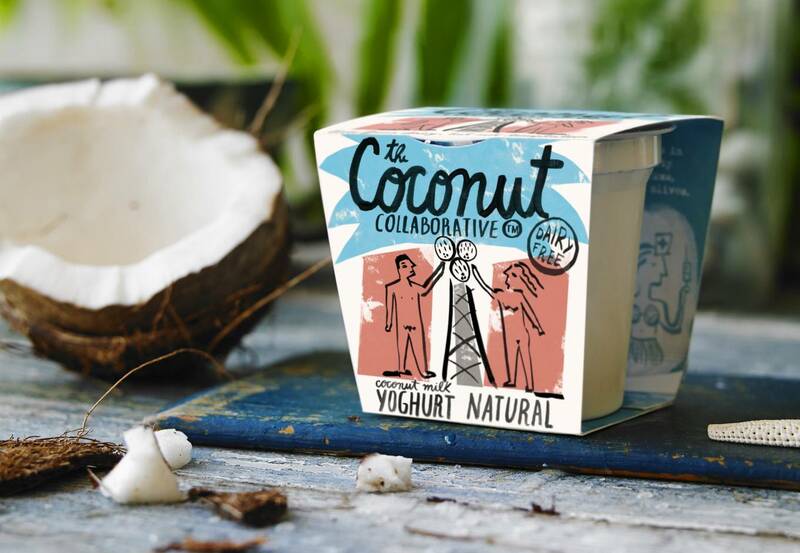 So, the brand needed to be able to go beyond dairy, work across a wide range of categories and help the coconut farming industry get back on its feet. 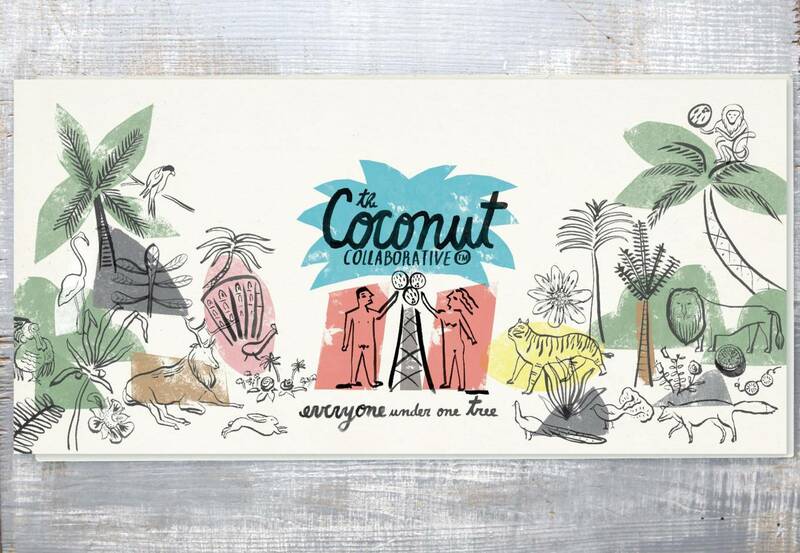 We wanted to capture the dessert island spirit of the coconut and communicate the collaborative nature of the business. 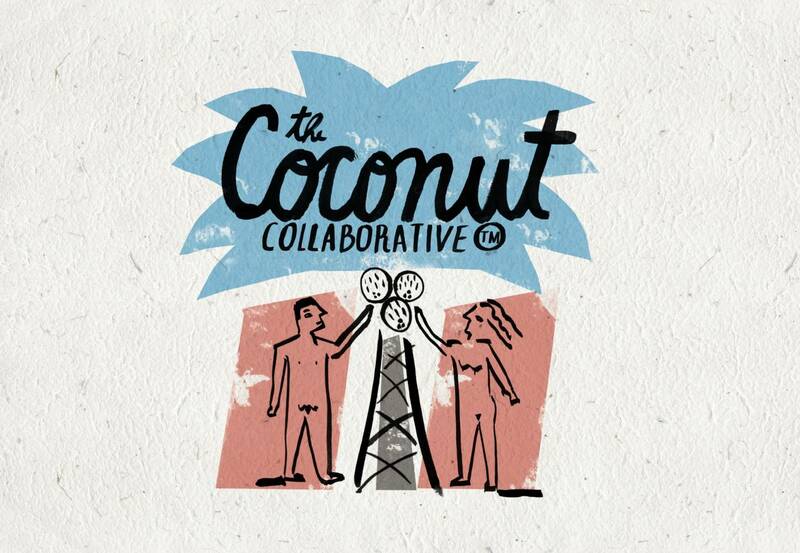 We decided to form The Coconut Collaborative, whose mission is to bring together other like-minded “coconutters” and create amazing things from this incredible drupe. The design played on the oldest story in the world, Adam & Eve, whom we depicted picking this innocent fruit in order to turn it into ‘forbidden’ pleasures. Our motto is “everyone under one tree”, which we hope says it all. 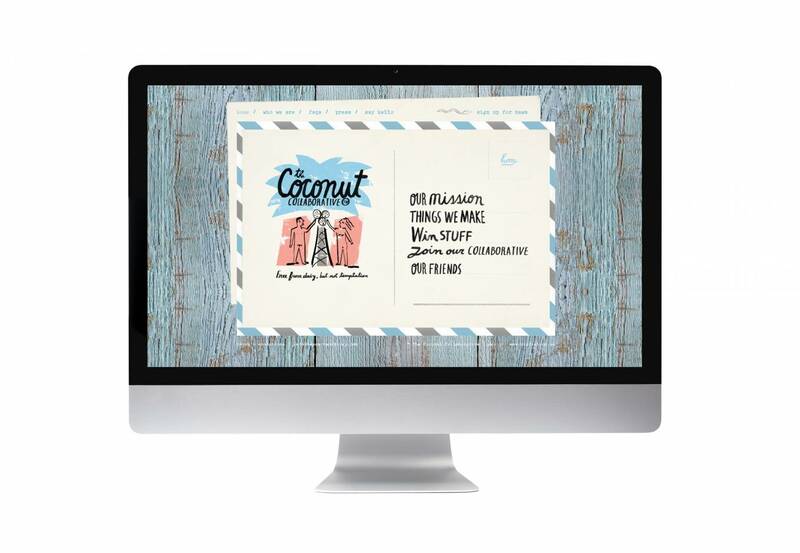 Watch this space for more ‘coconutty’ adventures!